Everything Everywhere brand Orange and Barclaycard are to roll out the UK's first commercial contactless mobile payments service in a few months. The launch is scheduled for the second quarter of 2011. Orange and Barclaycard customers will be the first to use their mobiles to make payments on the high street. O2 is planning a rival scheme that will launch shortly after. To date there are 42,500 live Barclaycard contactless terminals in retail outlets including Pret a Manger, Eat and Little Chef. Barclaycard is also developing terminals for Co-op stores. The monetary limit for using the mobile payment service has not yet been set. Large transactions will be possible by entering a Pin number. Gerry McQuade, chief development officer at Everything Everywhere, said: "Very soon, using your mobile to buy a sandwich, a cinema ticket or, in time, even something bigger like a computer, will simply be the norm." McQuade described the technology as a "revolution" and "a cultural shift that is as important as the launch of the personal credit card or ATMs". A spokesperson for Orange said the service would offer "greater simplicity, convenience and control" for customers shopping on the UK high street. 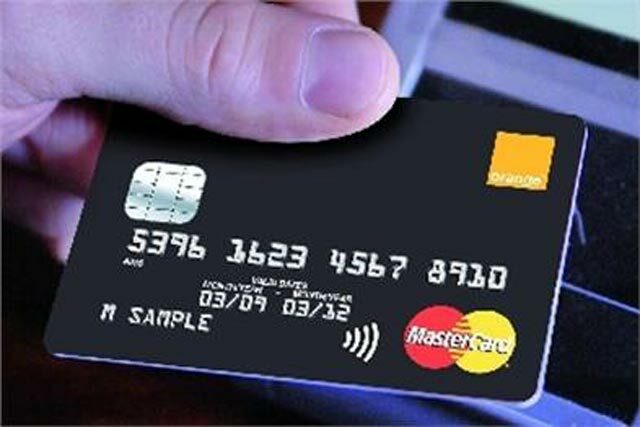 MasterCard will provide the payment capability for the contactless mobile transactions. The Orange spokesperson said: "Barclaycard and Orange believe this will be the biggest revolution in payments since credit cards were introduced in the UK by Barclaycard over 40-years ago." The technology has been developed to ensure customers' transactions and personal data would be "protected and secure", created through a "Sim-based approach to payments ensuring enhanced security for customers". David Chan, chief executive, Barclaycard Consumer Europe, said: "I believe that future generations will find it surprising that early this century we were still carrying separate items to buy goods and to communicate with each other. "As payment experts, our role is to make it easier, more convenient and incredibly secure for people to make purchases and manage their money while on the move." Barclaycard and Orange announced their strategic partnership to bring contactless mobile payments to market in 2009. The move builds on existing contactless payment technology, with 11.6 million contactless credit and debit cards already in circulation, of which more than 10 million have been issued by Barclaycard and Barclays. Everything Everywhere and Barclaycard's ongoing partnership has already produced a co-branded contactless credit card and the forthcoming Orange Cash pre-paid contactless payment card. Loyalty schemes are likely to be used to drive use of contactless payments. Apple is also believed to be moving into contactless payments with the launch of the iPhone 5.